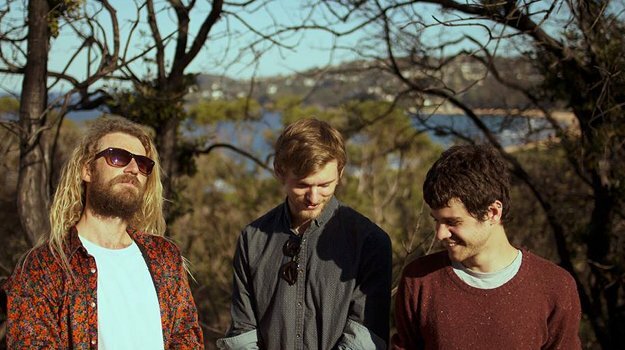 Reverting to previous creative outlooks and patterns is often looked at by outsiders as a step backwards, but for Sydney outfit Tin Sparrow, it was going back to basics which reminded them why they were making music in the first place. 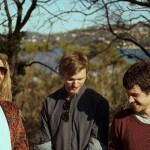 After a change in line up and a long musical hiatus, the (now) trio took to a farm house in regional Victoria with producer Dann Hume, who also produced their debut release, to create their third EP, titled The Shoelace Ring. The three founding members of Tin Sparrow – Matt Amery, Dean Mcleod and Mark Piccles – took a step back from it all in 2013 to travel, write, surf, and do some internal reflection. Mcleod admits that “maybe we lost our way a little bit”. But it was this release interval that allowed for the creative clarity that can be heard on each of the five tracks on Shoelace Ring, the follow up to previous EP releases From The Sun (2011) and Fair & Verdant Woods (2012). Each member brought their own eclectic influences to the table. Amery’s love for a strong narrative and classic Australian songwriters, mixes remarkably well with Piccles’ inclination towards the strong melodies of indie pop and Mcleod’s psychedelic leanings with outfits such as Black Mountain and Tame Impala. “We were finally able to let our own influences come together, which really worked this time – the three of us are really creatively in tune”. The band are no strangers to collaborating having worked previously with Mark Myers of The Middle East, and Tom Iansek from Big Scary. These partnerships have sparked the musical maturity that can be heard in Amery’s more recent writing, removing Tin Sparrow from the world of just “happy folk for happy folk” and delving into darker themes that can be heard on new tracks such as “Grass Stained Volleys” and “Heart Slowly Dies” – both of which highlight Amery as a prolific and honest storyteller. A tranquil, secluded patch of land with no surrounding property was the preferred venue for recording The Shoelace Ring. No people, no reception, no distractions…just an empty space to make noise. With Dann Hume at the helm, and a patch of grass outside to lie in should brain clutter creep in, the EP was recorded in a mere 5 days. The first single from the new release is “Echoes In The Dark”. The track combines driving rhythms reminiscent of Arcade Fire circa The Suburbs mixed with a jangling guitar hook and Amery’s soaring vocals – sounds that could be easily attributed to Real Estate or the recent War On Drugs release. As the title suggests, “Echoes In The Dark” taps into the notion of memory, and the small pieces of someone that get left behind that, whether we like it or not, remind us of them. Tin Sparrow, despite pairing back and starting fresh, have leapt forward with Shoelace Ring, offering a new sense of maturity and observation, without an ounce of ego or complication.